I’m so very sad to also confirm the death of Nick Alexander, the Merch Man for the Eagles of Death Metal tour. Nick was one of the first confirmed deaths of crew at Le Bataclan. 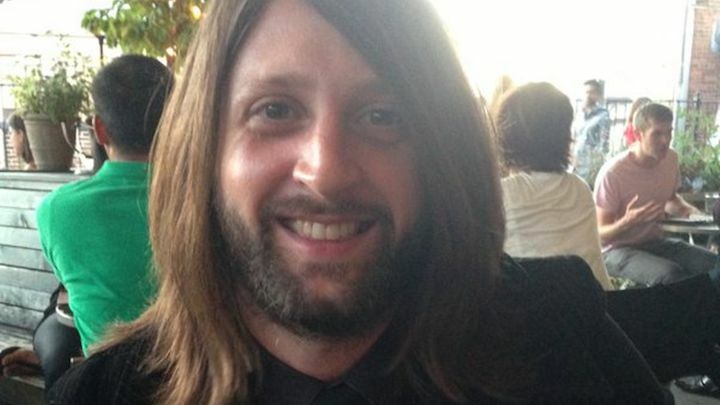 He has been named as Nick Alexander, who died in the attack at the Bataclan concert hall, where he is thought to have been selling merchandise. His family described him as “generous, funny and fiercely loyal”. A government source said there were fears a “handful” of other British people had been killed. An unspecified number are being treated in hospitals. A family statement said: “It is with huge sorrow that we can confirm that our beloved Nick lost his life at the Bataclan. “Nick died doing the job he loved and we take great comfort in knowing how much he was cherished by his friends around the world. In addition to serving as merch manager for Eagles of Death Metal, Alexander held a similar role on multiple tours with Sum 41, Panic! at the Disco and the Black Keys. “I spent a lot of time with Nick, but the thing about the touring merch job, it’s one of the more thankless jobs,” drummer Patrick Carney tells Rolling Stone. “You do it because you just want to travel and you’re interested in meeting new people and it’s really hard work. It’s not the job you take if you’re into partying. So he was a really organized, super hard worker, really funny. I remember him always very content with being on tour. It was what seems to make him the happiest. After shows, when everyone would go wild or whatever, he would also be really reserved. He was just a sweetheart, that guy. The Foreign Office said people with concerns about British relatives or friends in Paris should call 0207 008 0000. A 41-year-old man from France was detained by police after a suspected firearm was discovered at Gatwick Airport. The airport’s North Terminal was evacuated but has since re-opened. The London School of Economics tweeted that one of its former students, Valentin Ribet, had been killed in Paris. He was a French national. London’s Tower Bridge, the National Gallery, the London Eye and Wembley Stadium are being lit up in the colours of the Tricolour. The same has been done to The Usher Hall in Edinburgh, Glasgow’s Hydro and Edinburgh Castle. Flags are being flown at half mast at Downing Street and the French Embassy in London. A vigil has taken place in Trafalgar Square. Groups taking part included the Muslim Council of Britain and the Christian-Muslim Forum. Requiescat en pace, Nick Alexander. We will not forget you.